Ambassador Daniel Ramos Espiritu is a career diplomat with more than twenty years of experience in the Philippine Foreign Service. He has been the Philippine Ambassador to Pakistan with concurrent jurisdiction over the Islamic Republic of Afghanistan, Kyrgyzstan and Tajikistan since 2015. He started as Special Assistant to the Secretary of Foreign Affairs and Administrative Officer of the Office of the Secretary from 1995 to 1998. Then he was assigned as Third Secretary and Vice Consul, then Second Secretary and Consul, at the Philippine Embassy in Seoul, Republic of Korea from 1998 to 2004. Upon recall to the Home Office in 2004, he was appointed Special Assistant to the Undersecretary for International Economic Relations, in charge of the Asia-Pacific Economic Cooperation (APEC) and the Counter-Terrorism Task Force. From 2006 to 2007, he was appointed Director of the China and North Asia Division, Office of Asian and Pacific Affairs. On 24 November 2007, he was assigned to Los Angeles, California, U.S.A., as Deputy Consul General, a position he held until November 24, 2013. Before coming to Islamabad, he was appointed as Director of the Political Security Division of the DFA Office of ASEAN Affairs where he served from February 3, 2014 to August 25, 2015, in charge of ASEAN Political Security Community, East Asia Summit, ASEAN Regional Forum, ASEAN Defense Ministers Meeting, Extended ASEAN Maritime Forum, ASEAN-China Senior Officials Consultations, Senior Officials Meetings and Joint Working Group Meetings on the Implementation of the Code of Conduct of the Parties in the South China Sea. He was appointed as Ambassador to Pakistan on 04 May 2015 and presented his credentials to Pakistani President Mamnoon Hussain on November 3, 2015 at the Aiwan-e-Sadr Presidential Palace in Islamabad. He presented his credentials to Tajikistan President Rahmon Ehmomali in Dushanbe on 10 December 2015, Afghan President Ashraf Ghani in Kabul on 01 February 2016 and Kyrgyz Republic President Almazbek Atambayev in Bishkek on 29 March 2016. 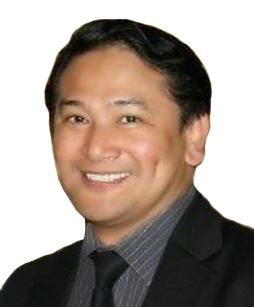 Ambassador Espiritu graduated from the University of the Philippines in 1998 with a Masters in International Studies. Ambassador Espiritu is married to Ms. Carryn Roberts-Sarsuelo Espiritu.